This innovative handbook shows how the school grounds—regardless of whether your school is in an urban, suburban, or rural setting—can become an enriching extension of the classroom. In this comprehensive resource, Herb Broda blends theory and practice, providing readers with practical suggestions and teacher-tested activities for using the most powerful audio-visual tool available—the outdoors. 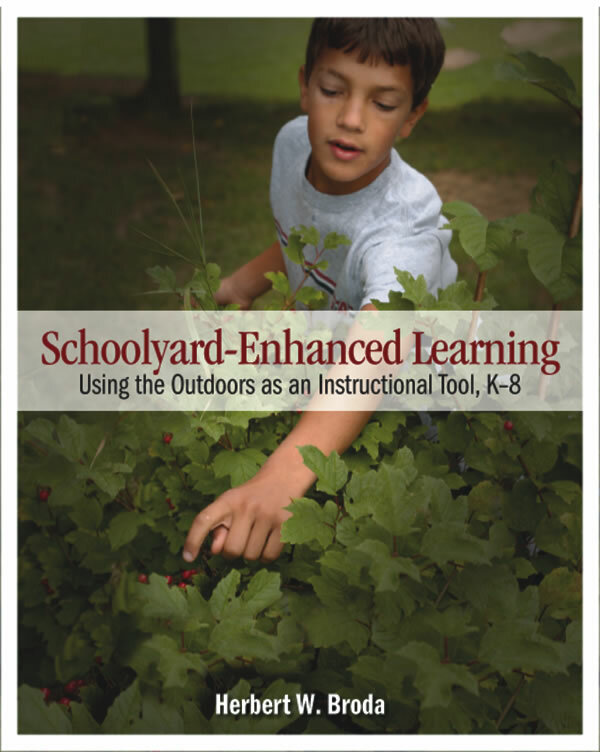 Schoolyard-Enhanced Learning shows how the school grounds—regardless of whether your school is in an urban, suburban, or rural setting—can become an enriching extension of the classroom. In this comprehensive handbook, Herb Broda blends theory and practice, providing readers with practical suggestions and teacher-tested activities for using the most powerful audio-visual tool available—the outdoors. Background that helps present the case for outdoor learning: educational theory that supports the concept; overview of the terminology; research on the benefits related to student achievement; alignment of outdoor learning with current teaching practices. Ideas for making the schoolyard an effective outdoor classroom: the planning process; enhancing and maintaining the site; developing gardens and attracting wildlife; finding community resources and funding. Advice on working with a class outdoors: garnering administrative and parental support; considerations before going out; making the most of your outdoor time; using GPS as an educational tool; building on the outdoor experience back in the classroom. An array of proven activities that utilize the schoolyard: activities related to specific subject areas; activities that teach process skills; activities that encourage initiative and build community. At a time when children's natural curiosity about the outdoors is eclipsed by the demands of busy schedules and the ever-present glow of video screens, schools may be the only place where they are encouraged to interact with nature. Schoolyard-Enhanced Learning can help teachers unlock the powerful learning experiences that exist just beyond the classroom door. Herb is a professor emeritus of education in the Department of Curriculum and Instruction at Ashland University in Ohio. He teaches both graduate and undergraduate courses with an emphasis on middle school education, instructional methods, and outdoor/experiential education.